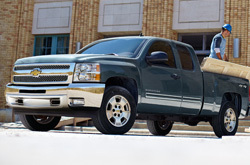 To begin reading Vandergriff Chevrolet's 2013 Silverado review, scroll down below the video. There is a reason Vandergriff Chevrolet is the top-rated Chevrolet retailer in Arlington, TX. We provide you with Silverado reviews by the best writers in Arlington, TX. Chevrolet Silverado information you can have faith in on to make intelligent decisions is right here - each passage is packed with [helpful data and specs - all at your fingertips. Read on to see if the Silverado is right for your garage. 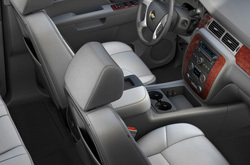 By examining the 2013 Chevrolet Silverado to the 2013 GMC Sierra 1500, Toyota Tacoma, Dodge Ram and the Ford F-150, and you can realize that the Silverado beats out those autos in several zones. Check out the hightlights below. Vandergriff Chevrolet auto repair service in Arlington, TX is only a click away! Your Chevrolet deserves to be treated correctly - that means Chevrolet factory- trained technicians, authentic 2013 Chevrolet Silverado parts, and the sense of contentment that comes from a 12-month service work warranty. Vandergriff Chevrolet's auto service whizzes will help keep your Chevrolet Silverado in good condition. We can take care of a easy job as an oil change, or deliver quality complicated Chevrolet Silverado service and repairs like strut and shock repairs, timing belt replacements and Silverado transmission rebuilds. For nominal, trustworthy Chevrolet car repair in Arlington, TX, the prime place you should take your Silverado is Vandergriff Chevrolet. You can view and print out coupons online at the upcoming link.